So, it’s with much regret and… yes, even a little fear, that I witnessed the head of the CDC recently assuring us that the Ebola virus is very difficult to transmit and that we know exactly how to control it. Instead of (what looked like) his clumsy attempts to soothe an ignorant and paranoid public, the CDC head should have given a blunt assessment, educated everyone like adults, and encouraged them to exercise precaution. Then, seemingly in answer, two nurses who cared for the index patient from Liberia become Ebola positive. And the CDC clears one of those nurses to take a commercial airline flight, even though she was in the early stages of Ebola infection…depressing. From a medical professional standpoint, this was practically criminal negligence. At present, the disease is not transmitted by air ("airborne"), but any scientist worth his/her salt cannot account for mutations the virus may undergo. This is why the job of the CDC is to contain harmful microbes, issue protocols to protect the public against them and ultimately eradicate them... period. It is not to be PR professionals for television cameras and fostering carelessness. D.J. Donaldson is a retired professor of Anatomy and Neurobiology at the University of Tennessee, Health Science Center—where he taught and published dozens of papers on wound-healing and other health issues. 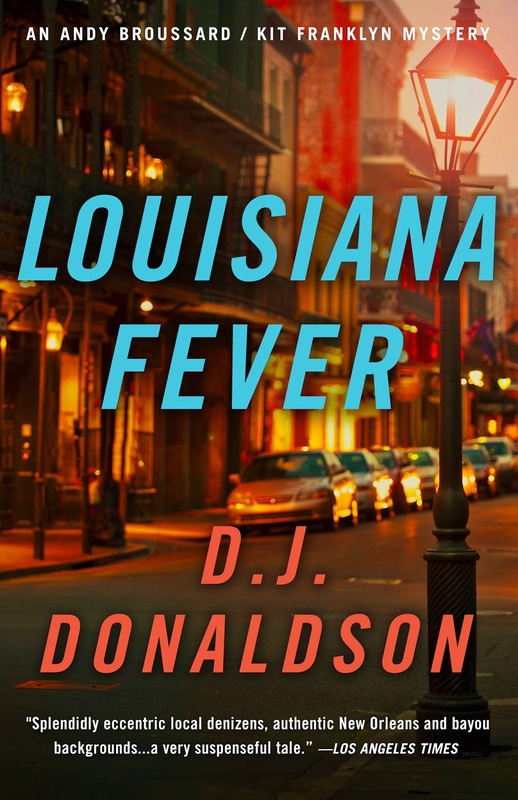 He is the author of Louisiana Fever, one of the seven in the Andy Broussard/Kit Franklyn series of forensic mystery thrillers.